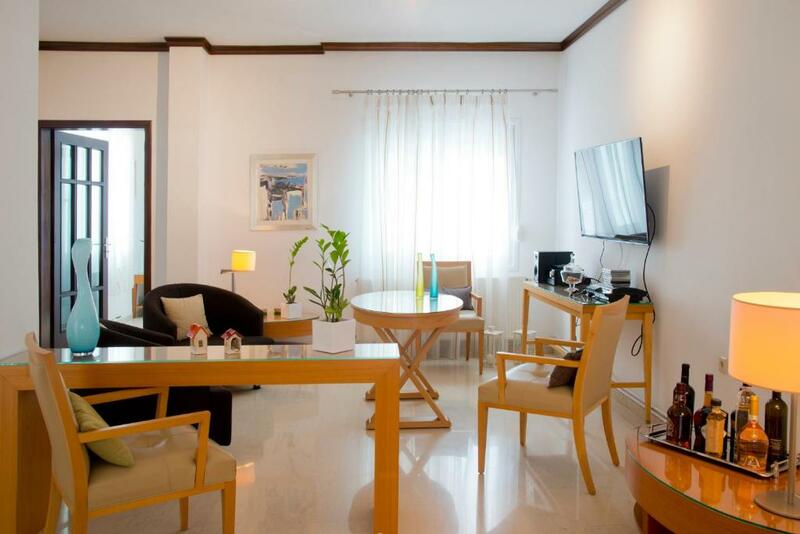 The apartment was located about 15mins walk to the centre of the city but was very quiet and peaceful. There were plenty of shops nearby to buy food. It was easy to explore the city and then as parking was easy we hired a car to explore more of Crete. The apartment had everything you could think of, a bit like a home from home but better! Frida the host is so lovely and made sure our stay was perfect. 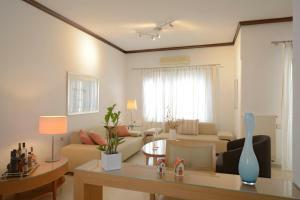 Home was nicely decorated, very clean and having a good level of maintenance. All Electrical Items were in brand new condition and in working condition. Home was exceptionally comfortable. The apartment is really nice and comfortable, even better than how it looks in the pictures. The hostess was very nice and helpful. It takes around 20/25 minutes walking to get to the city center, but the location is very practical if you are using a car and you can discover other places of Heraklion not so full of tourists. 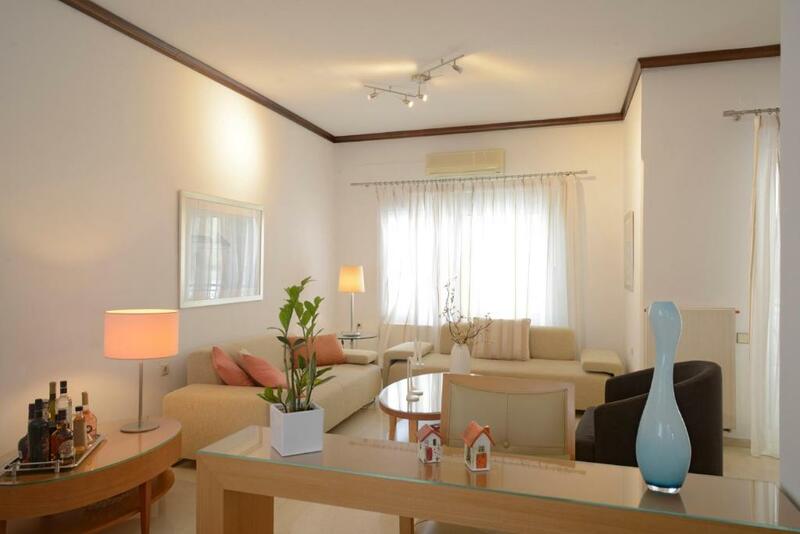 We liked everything in that spacious and nice three bedroom home apartment. 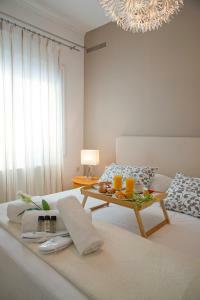 Impressed by the impeccable taste of the owners , the nice decor , the comfortable furniture, the comfortable beds . There was everything needed for a comfortable and a very pleasant and relaxing stay. There were high quality and very clean (looking as brand new) electrical appliances in the three bedrooms and in the kitchen . Also the whole apartment was extremely clean and shiny ( nice marble floor ). The owners made it clear to us in many ways that they really valued our presence and we really felt warmly welcomed. Τα κρεβάτια ηταν παρα πολυ άνετα, οι χώροι πολυ ωραίοι, φωτεινό και ψηλοταβανο διαμέρισμα, η κουζίνα (αλλα και ολόκληρο το σπίτι) ηταν πολυ εξοπλισμένη, η κα ελευθερία είχε φροντίσει να εχουμε και προμήθειες για τις πρώτες ανάγκες. Το σπίτι μοσχομυριζε καθαριότητα, ολα ηταν πολυ προσεγμένα! Νιώθαμε ως φιλοξενούμενοι! Appartamento bellissimo. Grande, elegante, comodo con i negozi. È perfetto. Gentilissima accoglienza alle 1.30 di notte. Ha compreso tutto. Grande WiFi. Una delle migliori sistemazioni della mia vita. Sono un agente di viaggio da 30 anni ed ho viaggiato molto. Appartement très spacieux. Literie excellente. Propreté parfaite. 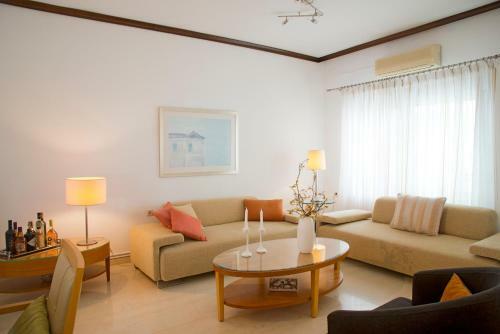 Lock in a great price for Modern home in Heraklion Crete – rated 9.6 by recent guests! 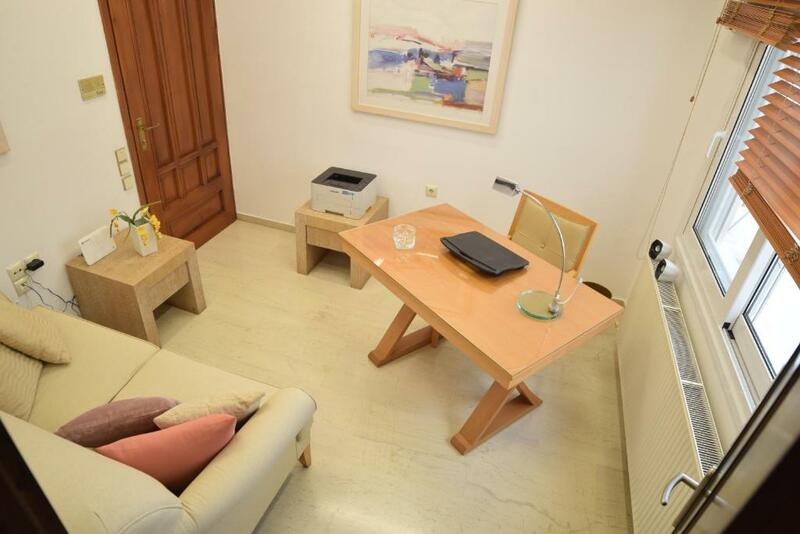 Just a 16-minute walk from Venetian Walls and 0.6 miles from Historical museum of Crete and featuring free WiFi, Modern home in Heraklion Crete offers accommodations in Heraklio. The property is 1.3 miles from Municipal Museum of the Battle of Crete and the National Resistance. 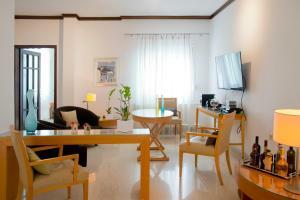 The apartment includes 3 bedrooms, a kitchen with a dishwasher and an oven, as well as a coffee machine. A flat-screen TV is offered. Heraklion Archaeological Museum is 1.4 miles from the apartment, while The Minoan Palace of Knossos is 3 miles from the property. Nikos Kazantzakis Airport is 3.2 miles away. 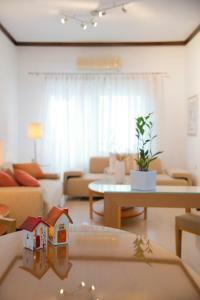 When would you like to stay at Modern home in Heraklion Crete? This apartment has air conditioning, tile/marble floor and dishwasher. It is a stunning apartment of 160 sq.m. 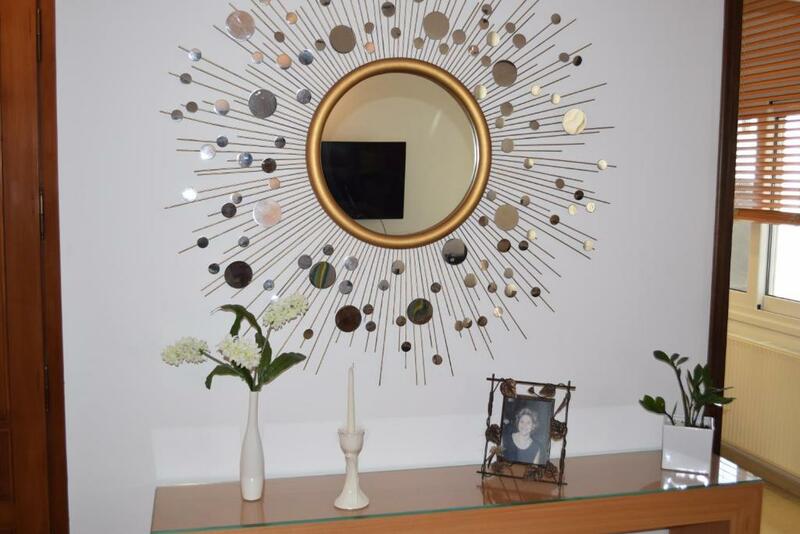 and Its decoration is modern. 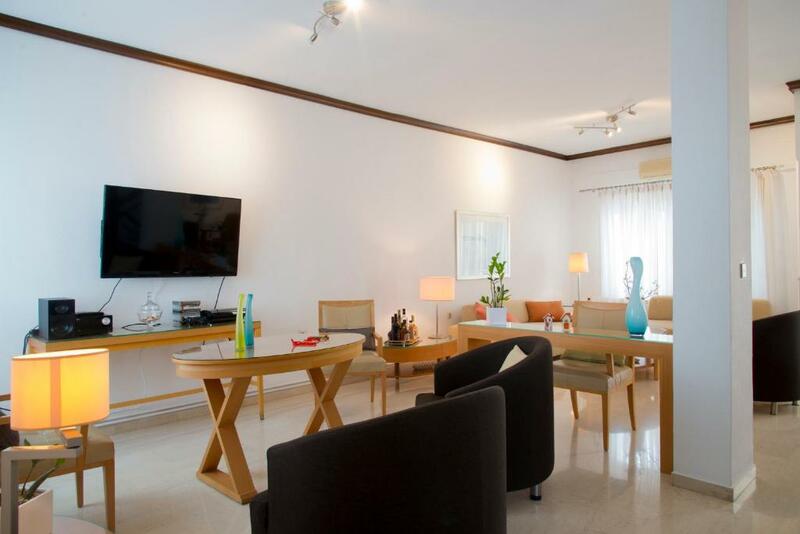 The apartment is on the 2nd floor of a building and it can host up to 8 guests. Apartment Knossos features two rooms with queen size beds and one more bedroom with two single beds. In the living room area, there are two large sofas which can accommodate 2 more guests (not a pull out sofa-bed). A spacious living area includes a hallway, dining area, office and kitchen. 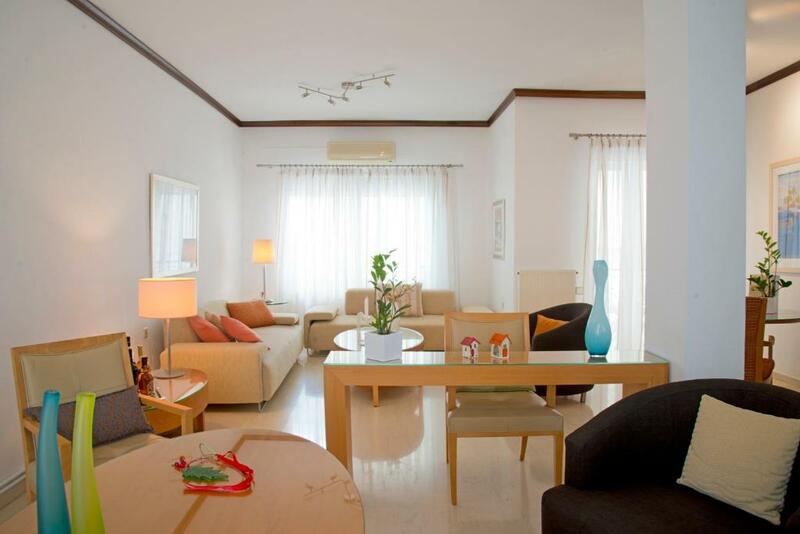 In the heart of Heraklion, Apartment Knossos offers you the perfect getaway for this years vacation. Quiet for those who want to relax, and close enough to the center for all those seeking a more active vacation. Crete is the island of passion, love, natural beauty, festive atmosphere and lush beaches! Experience is waiting for you! House Rules Modern home in Heraklion Crete takes special requests – add in the next step! Modern home in Heraklion Crete accepts these cards and reserves the right to temporarily hold an amount prior to arrival. Please inform Modern home in Heraklion Crete of your expected arrival time in advance. You can use the Special Requests box when booking, or contact the property directly using the contact details in your confirmation. No elevator located on the second floor and it wasn't mentioned.